On this day of national mourning for former President George H.W. Bush, I want to remind you of his family's connection to Columbus Academy's founding. Samuel Prescott Bush, the grandfather of our 41st President and great-grandfather of our 43rd President, was one of the nine founders of Columbus Academy and served on the school's Board of Directors for its first three decades. Hired by Frank Rockefeller, brother of Standard Oil's John D. Rockefeller, to be the general manager of a railroad parts manufacturer known as Buckeye Steel Casting Company, S.P. Bush became close friends with James L. Hamill, who believed there needed to be an exceptional educational option in Central Ohio rivaling the top East Coast boarding schools. With the help of several other community leaders such as Foster Copeland (president of City National Bank), B. Gwynne Huntington (banker at Huntington Bank) and Kenneth Wood (a founder of the Ohio Paper Company), they purchased a building with four acres of land on Nelson Road, hired Frank Van Syckel from Princeton University as the first Headmaster and established Columbus Academy in 1911 while charging $250 a year per student. The rest, as they say, is history... our history. When George H.W. 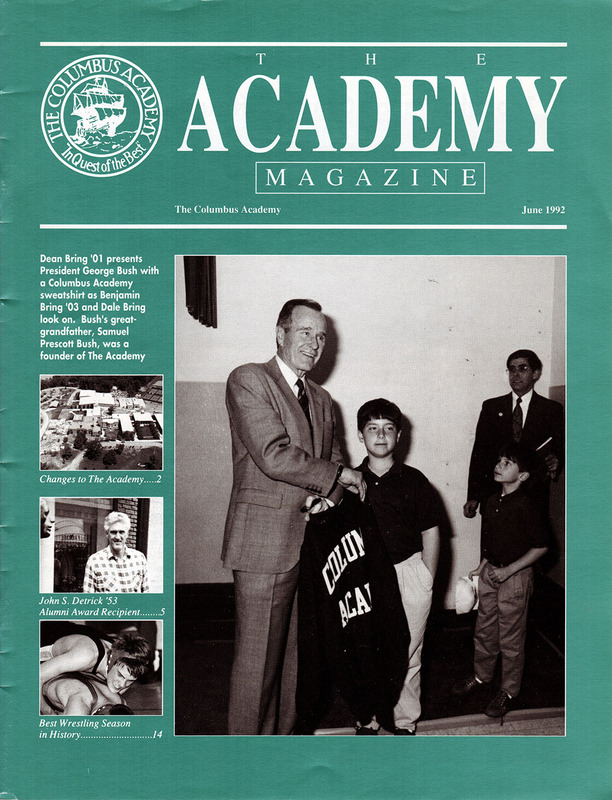 Bush visited Columbus in the early 1990s, then-Academy students Dean Bring '01 and Dr. Ben Bring '03 had the opportunity to present him with a Columbus Academy sweatshirt, a moment captured on the cover of Academy magazine. And in 2011, the late President sent us this video about his grandfather for the school's centennial celebration. So today please join us in honoring President George H.W. 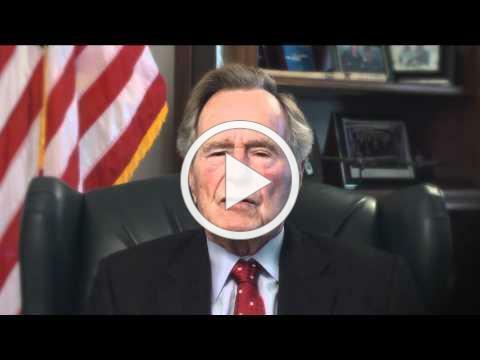 Bush and remembering his family's contributions to the earliest years of Columbus Academy.